About Buddha Purnima : Buddha's Birthday the birthday of the Prince Siddhartha Gautama, is a holiday traditionally celebrated in Mahayana Buddhism. According to the Theravada Tripitaka scriptures, Gautama was born in Lumbini in modern-day Nepal, around the year 563 BCE, and raised in Kapilavastu. According to this legend, briefly after the birth of young prince Gautama, an astrologer named Asita visited the young prince's father—King Śuddhodana—and prophesied that Siddhartha would either become a great king or renounce the material world to become a holy man, depending on whether he saw what life was like outside the palace walls. Note: This is 2580th Birth Anniversary of Gautam Buddha. 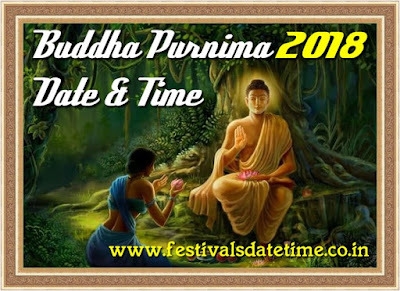 Happy Buddha Purnima.